Fred Goslin has been riding since he was a youngster in Michigan. 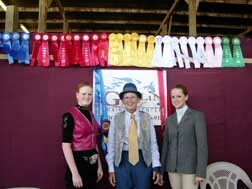 Fred is no stranger to the show ring and has a long list of accomplishments including Regional and National titles as well as a reputation unmatched by any in the industry. He is honest, hard working, and incredibly talented when it comes to horses and training. He has trained and/or bred many of the top western horses in our breed and the future seems to hold even more continued success for him. While Fred is most well known for his skills in the Western divisions, he also excels in English, which stems from his roots of showing Morgans. Fred is, by far, one of the best trainers around and is well respected across the industry. 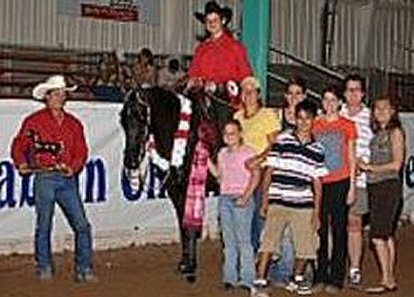 Jennifer has been around horses and the show ring for most of her life. Jennifer shows and trains English, Western, Hunter, Show Hack, and Sidesaddle. She has seen many years of success with herself, her amateurs and with her youth riders. Ms. Nix is one of the foremost authorities on Saddle Seat Equitation in the Arabian horse business. Ms. Nix has written Saddle Seat Equitation patterns for the AHA that are used in local, Regional, and National competitions and has trained many National Champions, Reserve National Champions, and Top Ten winners over her years of teaching. She is an amazingly effective and talented teacher with a passion for her students success.